Sheaths and clip plates for the ESEE-5 knife. All clip plates come with attachment hardware. 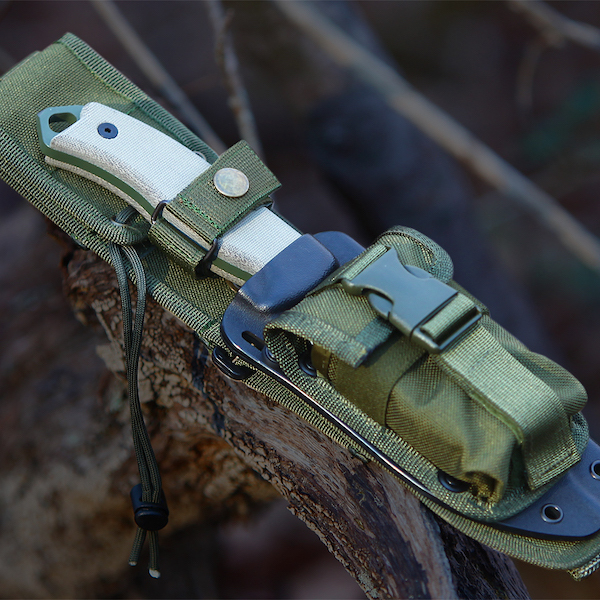 Optional MOLLE Back and Pouch can be combined to make a complete sheath system.